What is the most important information I should know about nystatin? Nystatin is an antifungal medication that fights infections caused by fungus. Nystatin when taken by mouth is used to treat yeast infections in the mouth or stomach. Oral nystatin is not absorbed into your bloodstream and will not treat fungal infections in other parts of the body or on the skin. Nystatin may also be used for purposes other than those listed in this medication guide. What should I discuss with my healthcare provider before taking nystatin? You should not use nystatin if you are allergic to it. It is not known whether nystatin will harm an unborn baby. Tell your doctor if you are pregnant. It is not known whether nystatin passes into breast milk or if it could harm a nursing baby. Tell your doctor if you are breast-feeding a baby. How should I take nystatin? When taking liquid nystatin to treat a yeast infection of the mouth, you may need to hold the medicine in your mouth for as long as possible. This allows the medicine to stay in contact with the infected area. Follow your doctor's instructions. Use this medicine for the full prescribed length of time. Your symptoms may improve before the infection is completely cleared. Skipping doses may also increase your risk of further infection that is resistant to antifungal medicine. 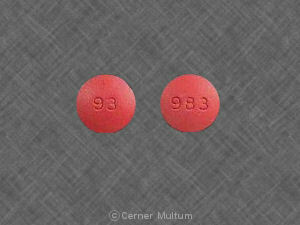 Nystatin will not treat a viral infection such as the flu or a common cold. 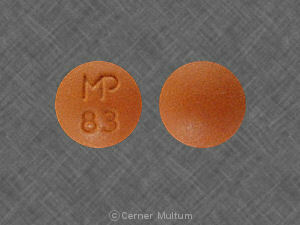 Nystatin is usually given for up to 48 hours after lab tests show that the infection has cleared. Store the Bio-Statin brand of nystatin in the refrigerator. Do not freeze. Other brands or forms of this medicine may be stored at room temperature away from moisture and heat. What should I avoid while taking nystatin? Do not use nystatin to treat any condition that has not been checked by your doctor. What are the possible side effects of nystatin? What other drugs will affect nystatin? Other drugs may interact with nystatin, including prescription and over-the-counter medicines, vitamins, and herbal products. Tell each of your health care providers about all medicines you use now and any medicine you start or stop using. Your pharmacist can provide more information about nystatin. Copyright 1996-2017 Cerner Multum, Inc. Version: 4.02. Revision date: 3/10/2016.